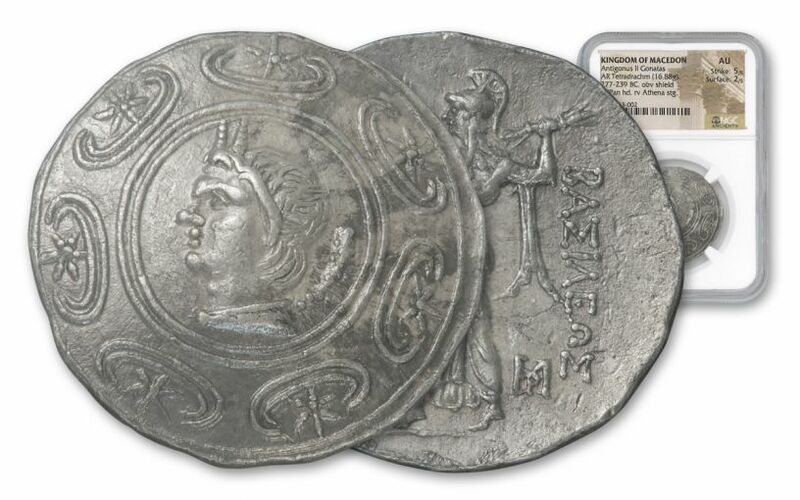 A Greek Macedon Shield Tetradrachm of Antigonas II -- Less Than 15 Known to Still Exist! Struck between 277 and 239 B.C. in Macedon, this Silver Tetradrachm of Antigonas II is truly one of the great wonders of ancient Greek art. 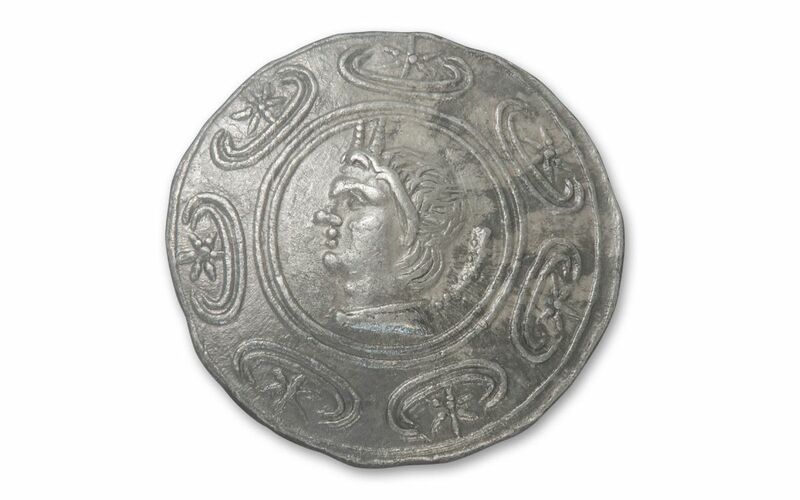 Notice how the obverse design, which features the horned head of Pan, is masterfully crafted to look as though it has the curved surface of a shield, despite being flat! 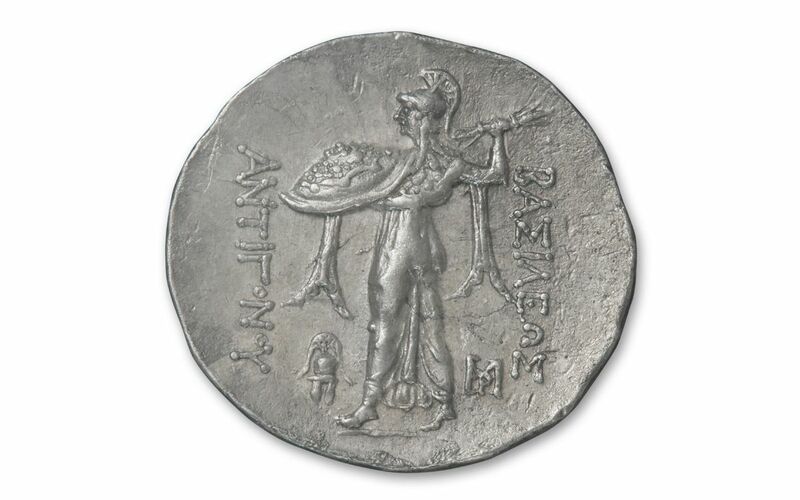 On the coin’s reverse is an image of Athena, preparing to cast a thunderbolt down from the heavens. After the break-up of Alexander the Great’s empire, Macedon saw a series of rulers until Antigonas II took over in 272 B.C., establishing a dynasty as well as stability. It was an accomplishment that neither his father nor his grandfather managed to accomplish. 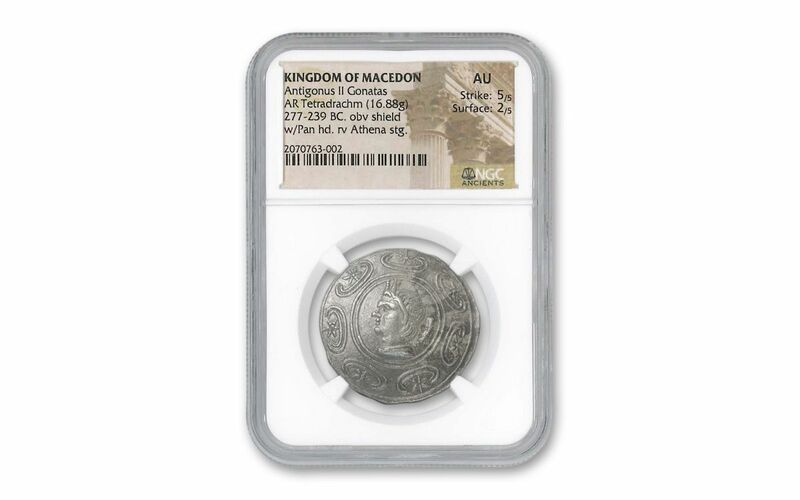 Struck in silver, this large coin grades About Uncirculated (AU) with a Strike 5/5 and a Surface 2/5 by Numismatic Guaranty Corporation (NGC). Less than 15 are known to exist, so secure it for your collection now!